I went into this movie knowing pretty much only that it was written and directed by Christopher Nolan with a score from Hans Zimmer. The other bare minimum information in my head going into previews was that it took place in France during World War II, and that Kenneth Branagh, Cillian Murphy, and Harry Styles were in it. Even with my sparse knowledge of the film, I was blown away. It is different from any other movie that I can think of in that it doesn't seem to have been made primarily for the stories it tells; but rather, it seems to have been made to educate both historically and emotionally what this event was like. 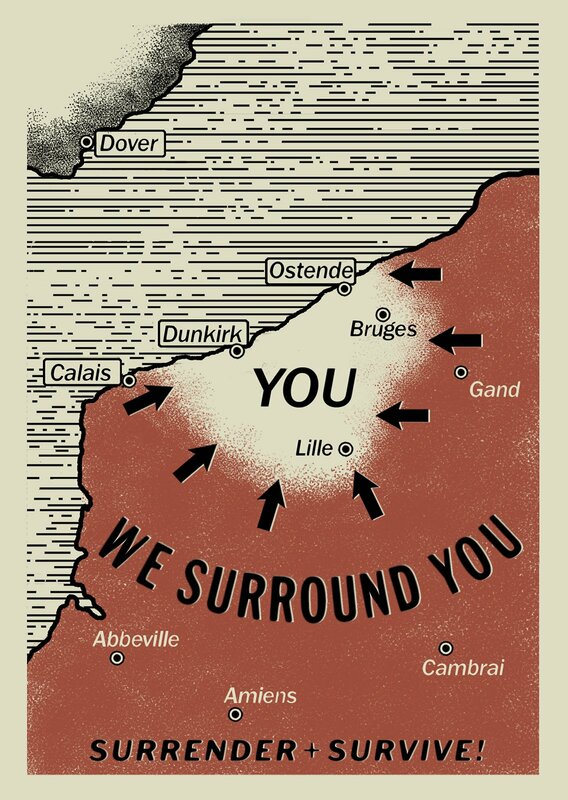 The experience of watching Dunkirk reminds me of the first time I rode a roller coaster. There was this great anticipation of what was about to happen followed by this adrenaline rush fueled by a combination of fear and thrill. It was a bit rocky and hard to adjust at first, but then by the end I did not want the experience to be over. Without a doubt, the part that sits in my mind the strongest is the shooting of the film itself. Some of the angles and view points that were used are beautifully done and brilliantly clever. The cinematography of this film is stunning in my opinion and it made me feel like I was there. Especially with the shots that were either from the view of a pilot or were shot underwater while the ships were going down really pinned me to my seat. 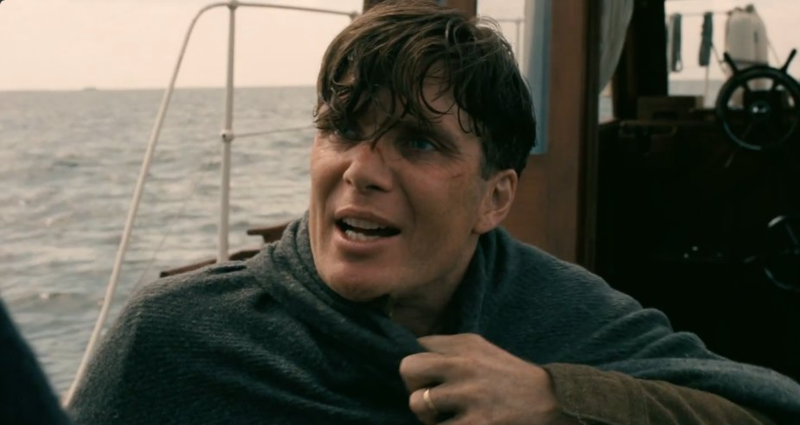 This in combination with the point directly below about the stories followed makes this movie more of an experience of Dunkirk than anything else. 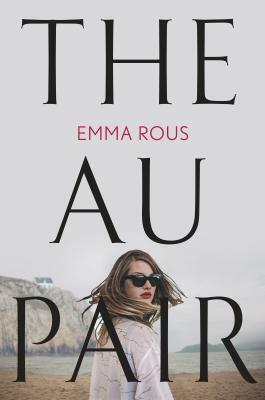 Switching constantly between three different stories that all started at different times makes for a strange time frame that admittedly was hard to follow at first. But I quickly realized what was going on, and it became a fascinating way to see how these all overlapped each other and came together at the end. Looking online, there are some mixed reviews because it can be confusing at times, but I really liked this aspect. It gave the viewers insight to so many different elements that were all being played out at once or near to the same time. Slightly risky, considering how the scenes needed to jump from one abruptly to another, but overall it paid off because the viewer experienced multiple angles of this tragedy. Contributing greatly to this experience is without a doubt the sound effects and score. I am a huge fan of Hans Zimmer's work (I really do not care how nerdy that sounds), and I really think he pulled off another fantastic score. Between that and the sound effects there were times when the theater seemed to be shaking or the reverberations of the sounds could be felt. Everything just came together so wonderfully, and I liked the balance between sound effect, score, and other miscellaneous things. It was all orchestrated without a single flaw and it made me feel the wide range of emotions even stronger than without it. Fanfreakingtastic acting. While it was very heavy on the male cast, I can't even say anything about that because it is so realistic as to who would have actually been there and I would much rather have accuracy in a movie like this. For the actors who are in this movie, I thoroughly enjoyed their work and efforts. To me, there was no one person that stood out as the best actor. They all played out their role amazingly and I do not think I can come up with a single complaint. 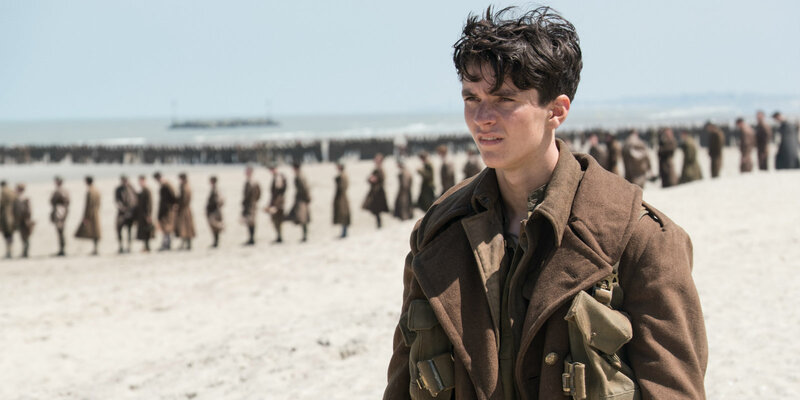 The one person I will point out is Fionn Whitehead, because I had never heard of him before, but he did just as great of a job as everyone else and I'm interested to see where his career takes him. The only thing I actually do want to point out is that I have no idea what most of the characters' names are. There's George, and Farrier, and Mr. Dawson, and I think that's all I got. It was just so strange to go through a movie like this and not even be able to tell what someone is called; I'm not even sure if the other characters were given names- I'll have to check the credits. That being said, there wasn't much talking in general, which really is also a statement about Christopher Nolan's ability to tell a story without much dialogue. Name issue aside, I don't think the film suffered from being mostly action based. I actually think it helped the movie because so much more was able to be shown and said in the actions and silences of the soldiers. Another note to add to this movie (outside of the story itself) is the timing of its release, which seems very early on in the movie season. Personally, I like this time for it because I can let it sit in my mind for awhile and steep instead of having to immediately jump to another train of thought for school or for any reason. And this is definitely a film that demands your thoughts and attention, so I highly recommend going to see it, (because everything about it is amazing and stunning) and then re-watching it on DVD going into award season because I would be very surprised if this film does not receive any nominations and/or wins.